When scouting Oleksandr Usyk, Anthony Joshua views him as “the perfect boxer,” but feels he may still have some trouble in the initial defense of his undisputed cruiserweight championship. Even though Joshua thinks so highly of Usyk, the unified heavyweight champion is picking Tony Bellew to win their upcoming showdown in Manchester. “From a supporter’s perspective it’s always going to be entertaining because I really like rooting for Bellew,” he told Sky Sports. “I really want him to win, so my passion is with him, regardless. 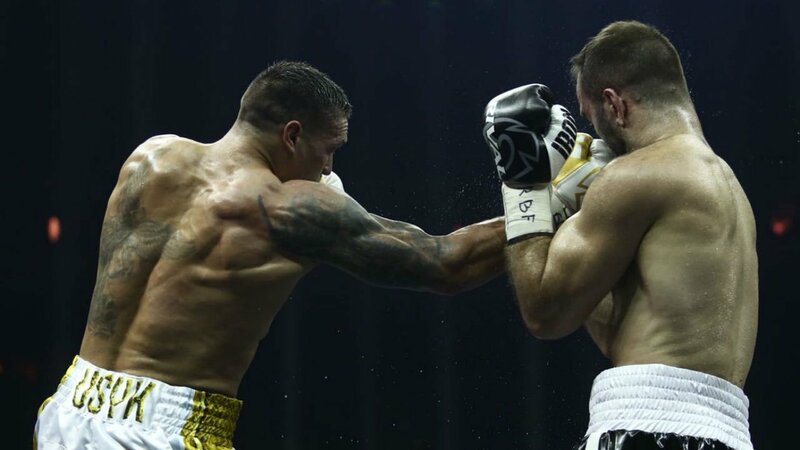 Then, from an entertaining point of view, Usyk is like a perfect boxer, so I hope Bellew is working on his counter-punches as well, because that’s the way to knock him out – let him tippy-tap and then explode. “If I am honest, Usyk is the favourite, straight-talking, because he’s unbeaten and he’s done it at cruiserweight and he’s undisputed.